In some cases, an Iowa work accident causes a knee injury for which pain fails to subside, even after weeks or months of aggressive medical treatment, physical therapy, and pain management. 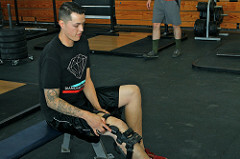 Often, a serious knee injury develops into post-traumatic arthritis, a condition in which broken fragments of bone rub against the cartilage around the knee and cause inflammation, swelling, and pain. When the symptoms of post-traumatic arthritis become too severe to manage in your daily life, it may be time to consider a surgical treatment, such as total knee replacement surgery. If you have been struggling with severe knee pain since your work injury, consider your surgical options and speak with your doctor. If your employer-chosen physician outright refuses to discuss the option, consider seeking a second opinion. 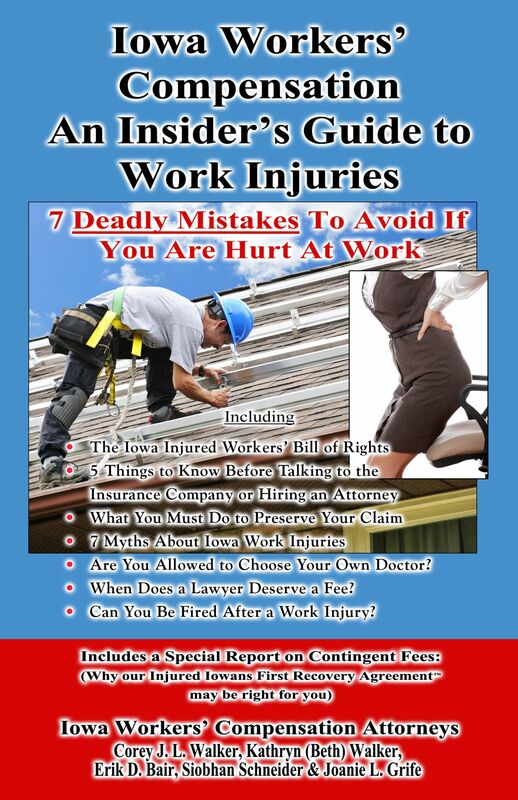 However, be advised, going to your own doctor means that you will have to pay the costs yourself because Iowa workers' compensation law grants your employer the authority to choose the doctor you’ll see . If your knee pain has not been addressed by nonsurgical treatment, you may require total knee replacement surgery, but your employer may be resistant to pay for it. Schedule a free consultation with a workers' compensation attorney who can help you get the coverage and benefits you’re lawfully entitled to. Call the attorneys at Walker, Billgsley & Bair at 1-800-707-2552 for questions or assistance with your case. To make the most out of your consultation, bring any related documents with you, including medical records, receipts, and a copy of the accident report you should have filed with your employer immediately after the accident.